More and more, first- year writing courses foreground skills of critical analysis and argumentation. In response, Arguing about Literature first hones students’ analytical skills through instruction in close critical reading of texts; then, it shows them how to turn their reading into well-supported and rhetorically effective argumentative writing. 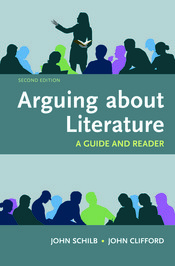 From the authors of the groundbreaking and widely adopted Making Literature Matter, Arguing about Literature economically combines two books in one: a concise guide to reading literature and writing arguments, and a compact thematic anthology of stories, poems, plays, arguments, and other kinds of texts for inquiry, analysis and research. The second edition includes even more instruction in the key skills of argumentation, critical reading, and research, while linking literature more directly to the newsworthy current issues of today.